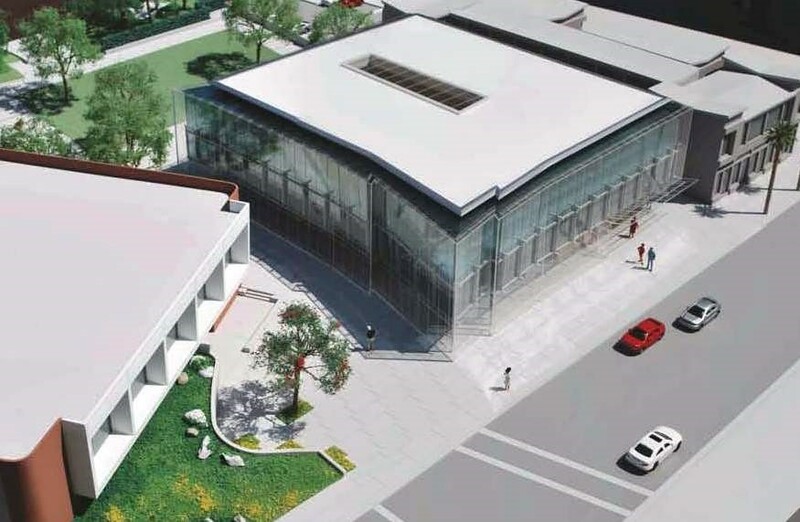 The proposed Project scope entails consideration of the demolition of the existing library and the construction of a new 21,500 square feet library facility on the same site. 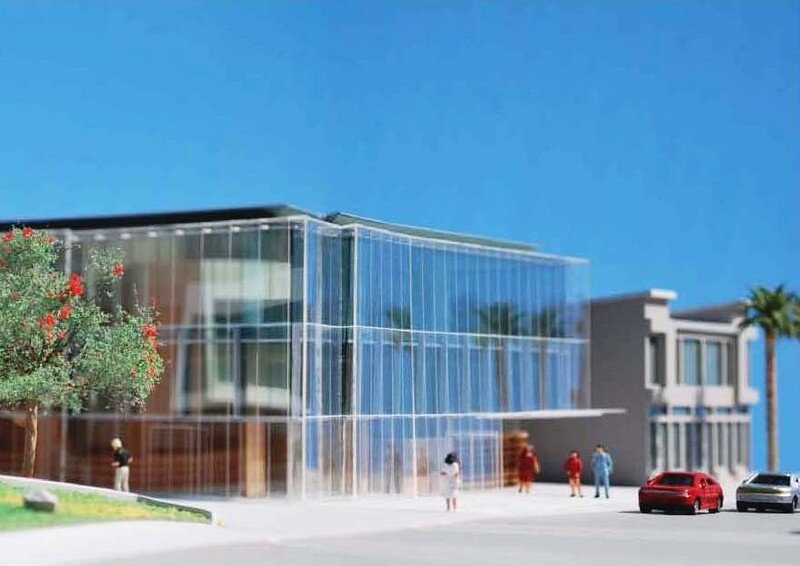 If the new library is ultimately built, it will include adult reading areas, a teen area, and a juvenile/early childhood area with dedicated programming space, a homework center; group study/tutoring rooms; a 100-seat community meeting room; express-service check-out machines at the lobby; information services desks; public access computers; staff areas; public restrooms; and associated site improvements, including landscaping, walkways, and security lighting. The civil scope of work VCA provided for the on-site improvements per the bridging documents is as follows: Demolition of existing buildings and structures and hardscape/pavement to be performed as a separate permitted phase to Rough Grading, Erosion Control Plans and SWPPP; Grading for Drainage and Accessibility for the project site; Utility disconnections and re-connections and new connections for sanitary sewer, potable and fire water; Provide horizontal and vertical control for the new improvements, both onsite and offsite; Provide storm water management for low impact development (LID) and LEEDS.